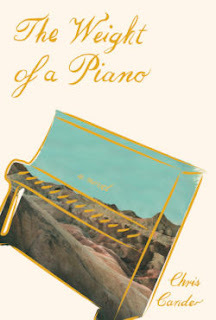 Chris Cander is the author of the new novel The Weight of a Piano, which focuses on the impact one particular piano has on those who are connected with it. 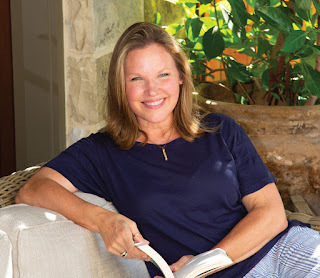 Her other books include 11 Stories and Whisper Hollow. She lives in Houston. Q: The Weight of a Piano moves between a present-day time period and earlier flashbacks. Did you write the novel in the order in which it appears, or did you move the chapters around as you wrote? A: It evolved. In the first draft, Katya was only a minor character, but as I continued working on the manuscript, it was clear that she needed much more space in which to tell her side of the story. In general, however, I wrote the book with alternating chapters, because it allowed me to learn about the narrative in the same way future readers would. Q: Did you know how the book would end before you started writing? A: I knew that I wanted Clara's and Katya's lives to have inverse relationships to the piano. I felt early on that Katya's journey would move from light to heavy, treble to bass, and that Clara's would do the opposite. The themes (love and loss, burden and release) in the two narrative threads work together like counterpoint in music. A: I'm working on a novel about the unseen forces that affect and connect us. A: That I'm grateful to you and anyone who decides to read one of my novels. There are millions of excellent choices available. Thank you for selecting mine.